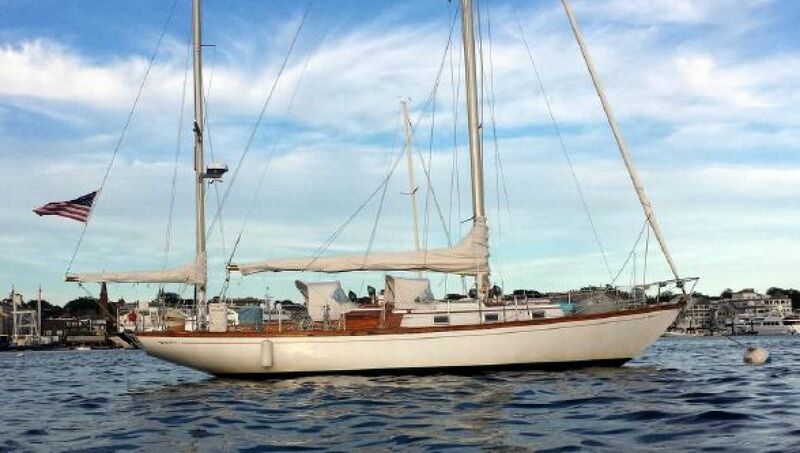 Owner has purchased another boat and would like this Rhodes sold. Will consider reasonable offers. 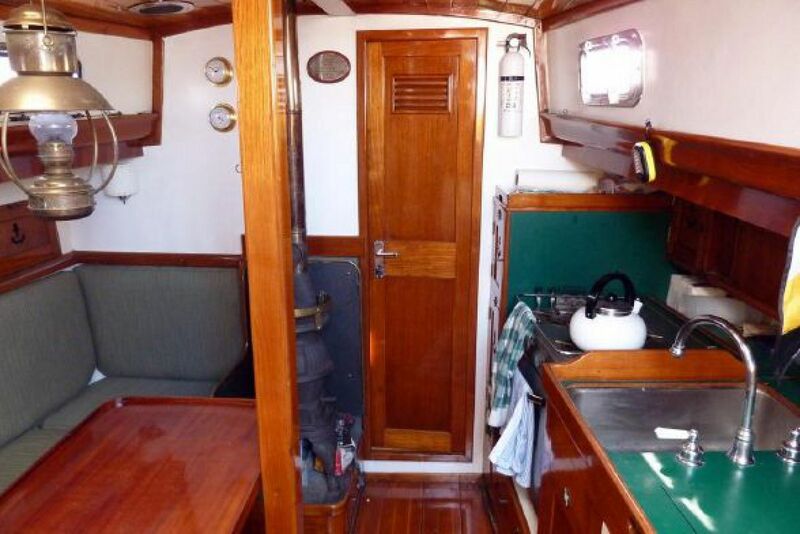 A well maintained and continuously upgraded classic yacht designed by Phillip Rhodes. Featured in 2014 Antique and Classic Boat Rendezvous. This is a correct Rhodes Reliant, not a Cheoy Lee Offshore 39. At least 6 sister ships have circumnavigated. It is rigged as a cutter rigged yawl allowing flexibility. This yacht has cruised extensively and is a very solid performer in all conditions. 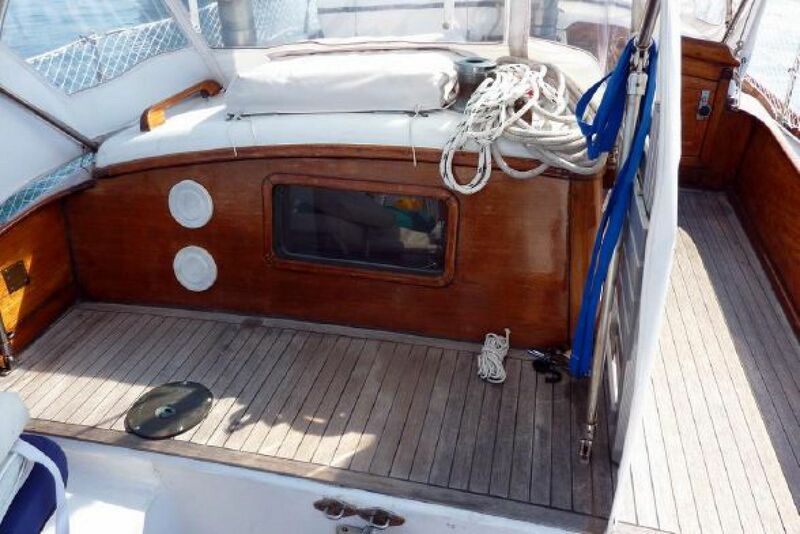 The teak decks and core were removed and replaced with balsa and oak cores, sealed with epoxy and re-decked with glass and Treadmaster. 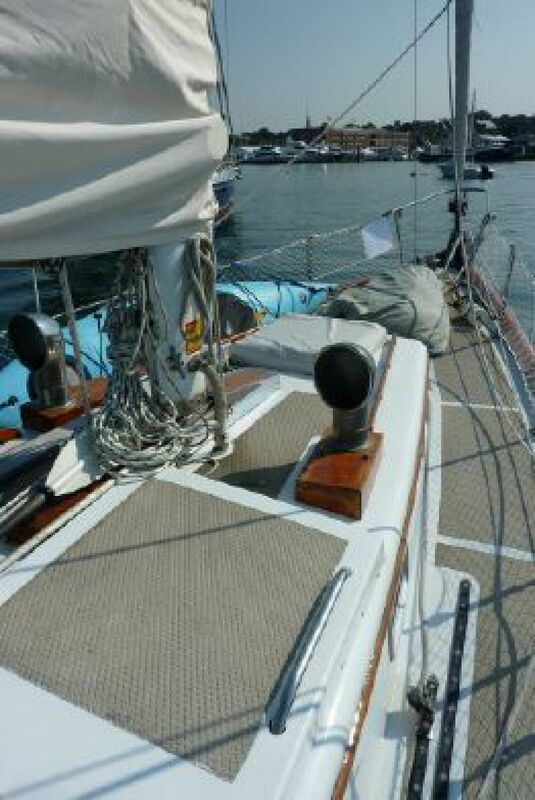 Custom dodgers were recently recovered with white Sunbrella as well as matching sail and hatch covers. All upholstery was renewed with Sunbrella fabric in 2011. Both masts are aluminum with spruce booms. Starting forward, there is a comfortable V berth. In the step between the V berth there are water tanks and a chain locker. The forward marine toilet, from the original design, has been removed and replaced with lockers. There are also hanging lockers to starboard. Moving aft, the main salon has a L shaped settee on the port side which is fixed. There is lots of storage behind and under the settee. A wood burning stove is installed in the forward area of the main cabin. Across to starboard is the galley. The stove is a Kenyon alcohol. The sink is a single SS with pressurized hot and cold water and pressure salt water for rinse. The refrigerator is just aft of the sink with a Barber unit that will make ice. 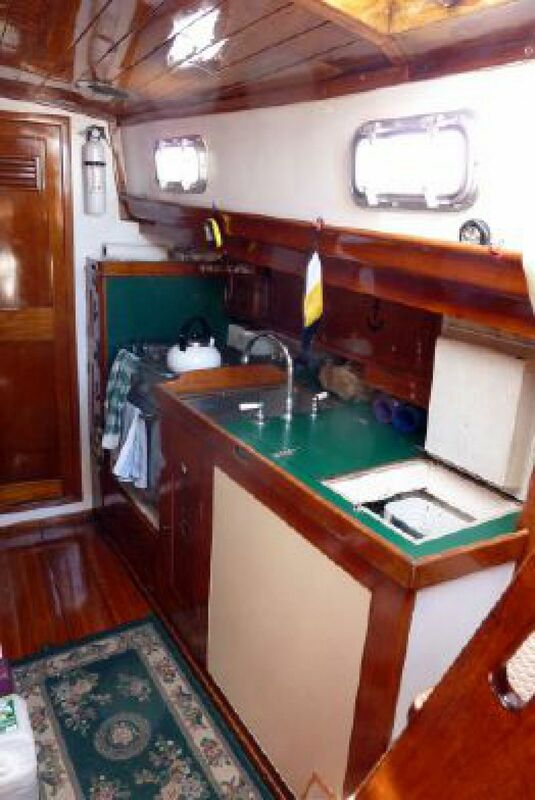 Aft of the galley is a large wet locker which is right next to the forward companion way steps. Across to port is a large head with two access doors. Sinks, refrigerator and shower drain to a grey water tank with electric pump to discharge. In the center of the aft cabin is a custom navigation table so that you can spread out an entire chart. There are spacious berths to either side of the nav. station with lots of storage above and underneath. Spare anchors and rode under cockpit.